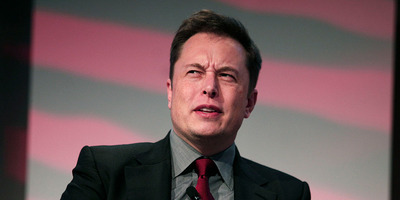 Bill Pugliano / Stringer / Getty ImagesTesla CEO Elon Musk. Mark Cuban was apparently the voice of reason who persuaded Tesla CEO Elon Musk to settle with the Securities and Exchange Commission rather than fight the SEC and his board, according to The Wall Street Journal. Cuban famously won a lawsuit against the SEC, and Musk had hired Cuban’s lawyer to help fend off the SEC’s suit against him. But Cuban warned Musk that a fight with the SEC would be long and ugly, and that helped persuade Musk to negotiate instead, The Journal reported. 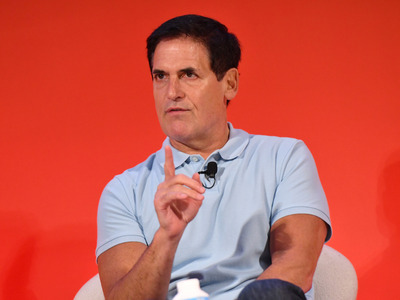 As Tesla’s embattled CEO, Elon Musk, was digging his heels in and reportedly threatening to quit his job rather than make a deal with the Securities and Exchange Commission, his lawyer got a brilliant idea: bring Mark Cuban in for the rescue. Musk had hired Cuban’s lawyer to help him fend off a lawsuit from the SEC alleging that Musk’s infamous “funding secured” tweet violated its regulations. The agency was seeking to not only fine Musk, but bar him from holding office in a public company. The lawyer, Chris Clark, represented Cuban during his yearslong fight with the SEC, which sued him in 2008 on charges of insider trading. Cuban eventually won that dispute in 2013, but it wasn’t easy, and he lost various battles along the way. Cuban has since routinely lambasted the SEC and jumped into others’ fights with it by filing amicus briefs. In a phone call to Musk last Thursday, Cuban recounted the kinds of tactics the SEC used against him, The Wall Street Journal reported. Cuban said in an email to The Journal that he told Musk that if Musk didn’t negotiate a settlement, it would cause a long and ugly battle that would distract him from running his companies. And that sounds like the kind of warning that could change Musk’s mind. Musk is laser-focused on his companies, particularly as Tesla attempts to increase production of its much-in-demand electric cars. As Business Insider previously reported, Musk has his fingers into every detail of Tesla and works so many hours at its facilities that employees have consistently found him asleep under tables and in conference rooms. The call was apparently a turning point in a wrenching 48 hours for Tesla in which its board agreed to a settlement and Musk threatened to quit over it but was then persuaded to agree. The settlement included $US40 million in fines, $US20 million to be paid by Tesla and the rest by Musk. It also required him to step down as chairman for at least three years.